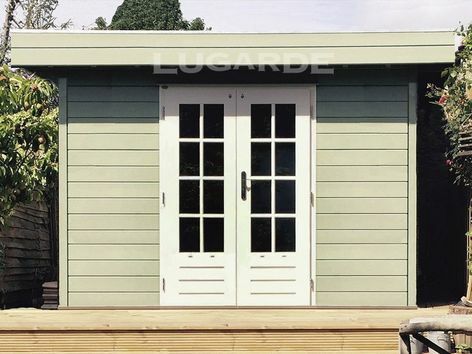 The Lugarde Prima Theo is rectangular summerhouse with a double door to he front. 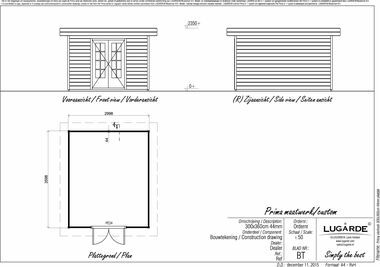 The summerhouse measures 3m x 3.6m in 44 mm log thickness. The standard package includes 1 x PE24 double door with 24mm double glazing as standard.